Gary and Mary West’s homebred Maximum Security led from gate-to-wire in an impressive 3 1/2-length score in the Florida Derby (G1) beneath Luis Saez on March 30. The bay earned 100 points on the Road to the Kentucky Derby for his efforts in securing a spot in the starting gate on May 4 at Churchill Downs. Bred in the Bluegrass State, the sophomore colt moved his unbeaten mark to four and proved his class against an accomplished field at Gulfstream Park. The Jason Servis trainee debuted in December in a modest $16,000 maiden claiming event and was never headed en route to a 9 3/4-length romp. He returned a month later against an optional claiming field at six panels and waltzed home, this time by 6 1/2 lengths while being wrapped up in the latter stages. 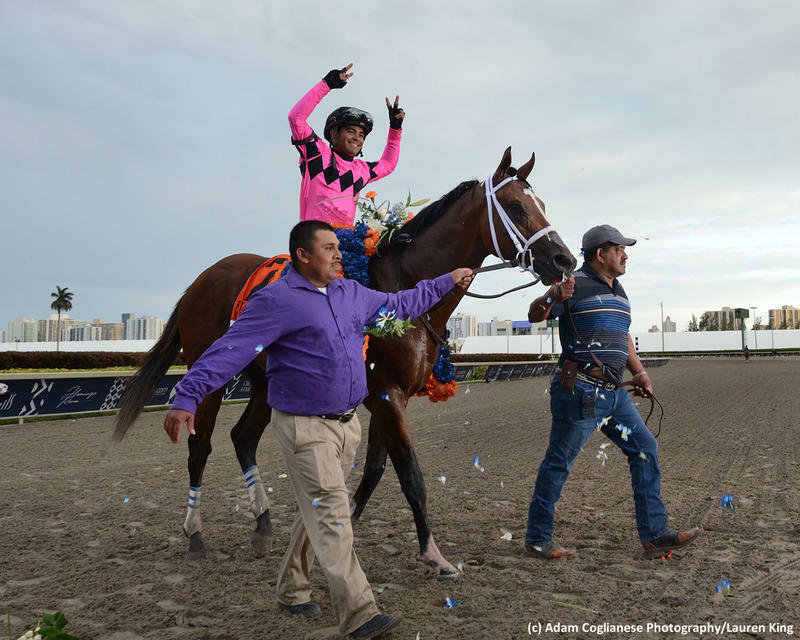 Maximum Security went seven panels on February 20 at Gulfstream with optional claiming runners, and he aired yet again, this time to the tune of 18 lengths which preceded his Florida Derby triumph. The son of 2013 Breeders’ Cup Juvenile (G1) star New Year’s Day is out of the winning Anasheed mare Lil Indy, who is herself a half-sister to three-time Grade 1-winning multi-millionaire Flat Out. This is a family with distance influences on both sides of his catalog page. Maximum Security has strong and improving BRIS Speed figures of 94-96-100-102, and he completed his final three-eighths on Saturday in an excellent :35.96. The colt shows substantial BRIS Late Pace figures of 97-91-105-123, too. He showed professionalism on Saturday when he rated on the lead and kicked it into another gear when asked for his best. Maximum Security’s pedigree is fascinating to me, and I think 10 furlongs should be well within his scope, if he is good enough to handle a full field of Kentucky Derby foes outside of his Gulfstream Park comfort zone. Though he came from humble beginnings, the bay colt should not be taken lightly as a Triple Crown contender.